Moving Beyond Pain is a title that reflects exactly what our clinic Advanced Myotherapy stands for and is all about. Together with Hannah Beggs and Jess Curl, Leah Jade and Matthew Cleary have created this book to help people move beyond pain. We have so far collectively helped literally thousands of people with their pain, to manage it naturally with not only Myotherapy and Remedial Massage but Self Care Education. We feel this has been the key. The key to not only our success but in that of our client’s in overcoming debilitating pain conditions and injuries. Since establishing Advanced Myotherapy in 2008, after entering the field in 2000, we have earned ourselves a reputation and are proud of it not because of notorieties sake but because we have been able to continue helping more and more people, with this as our platform, upon which great trust has been built. We honour that trust with great respect, as after all… being with somebody in their personal space is a big deal. We know it takes a lot for some people to trust others with their body and we take it seriously that they in fact do. See, now that we are a multi award winning clinic, we have a foundation of recognition upon which people base their choices to bring us in on their journey towards recovery, health building and maintenance. People come to us often because of the reputation we have, for helping people acknowledge and respect their own role in their own health and pain conditions. Be it an accidental injury or chronic pain condition, we all… have an undeniable role in our own recovery! “Leah passes on an incredible collection of love and wisdom in her new book “Heal Yourself”. 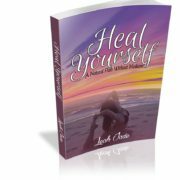 Written by Leah Jade, this contains 235 pages of inspirational insight into the power of the human spirit. 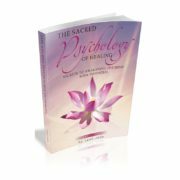 The Sacred Psychology of Healing has been described as a deeply profound and prolific text that has the potential to facilitate life healing. 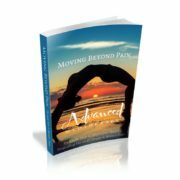 Devoted to the purpose of breaking through spiritual pain and it’s physical hold, this book offers a moving perspective of reality and the human journey of life. Considered by many around the world as an inspirational text that awakens the innate healing potential, this book has been described as a “recipe for overcoming trauma and tragedy”. Evoking tears of it’s reader, this book stirs feelings of compassion, gratitude and enlightenment to the power of resiliance, purpose and pain. The Sacred Psychology of Healing is dedicated to awakening the true human potential beyond any boundaries both external and within. This is Matthews first published book and speaks of our philosophy at Advanced Myotherapy being centred around self responsibility and lifestyle as being the key to change. In this book we share a compilation of our articles over the years, in order to offer insight into the post effective solutions to many common symptoms we see as largely preventable and reversable with a little bit of knowledge and wisdom that goes a long way! Looking at the vital principles of life, health and longevity, this book will help inspire you to accomplish your true energetic potential for living well. Having built a successful clinical practice together over 8 years, bringing our life long shared love of Health and Healing to those who seek a better quality and way of life. Our success has humbled us to share the principles in this body of work of both longevity and possibility. 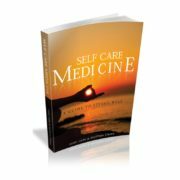 Combining our perspectives to offer deep insight into what it is we feel has helped not only countless clients transform their own health and lives, but allowed us to grow from our own personal set backs and sufferings, this book has been written to offer inspiration for those who know there is a better quality of life possible. We look at the most simple and yet powerful and practical ways you can transform your life beginning right now. It is our purpose with this book to make a big impact on the modern epidemic of preventable pain and suffering resulting from a lack of awareness and basic knowledge of the principles of both life, health and healing.